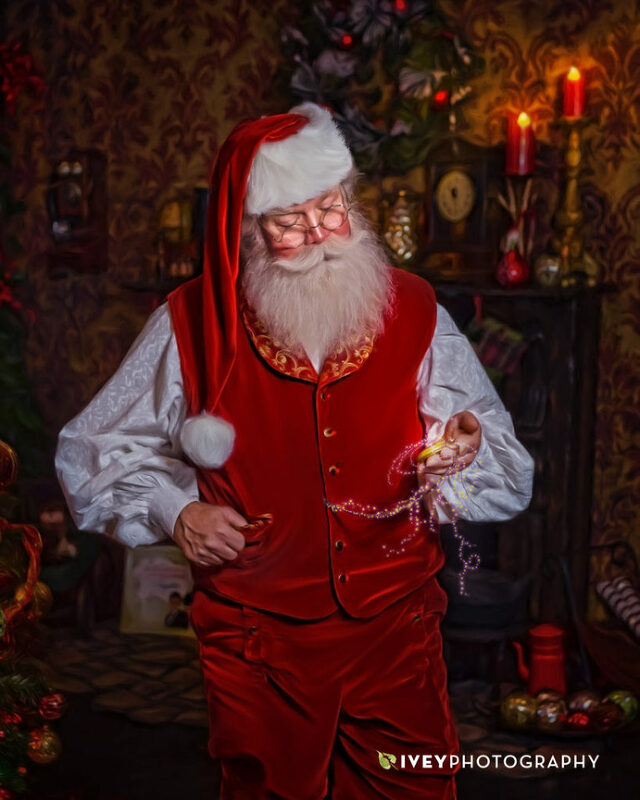 Meet Santa Claus in our one-on-one Storybook Santa Experience. We operate two studios in the DFW area. Because of high demand for our services, and because we want each child to have an authentic experience, we work with two real beard Santas. If you’ve been with us before, we will schedule you with the Santa you’ve already met. If this is your first Storybook Santa Experience, you’ll get everything we promise from either Santa you meet. Please let us know if you have a preference when we set up your appointment. Santa Jeff will primarily service our Richardson Location, but will make appearances in Midlothian, especially to meet our Legacy Clients. He has a sweet disposition and a funny wit, especially with parents. He’s 6’4″ tall, making him larger than life to most children. 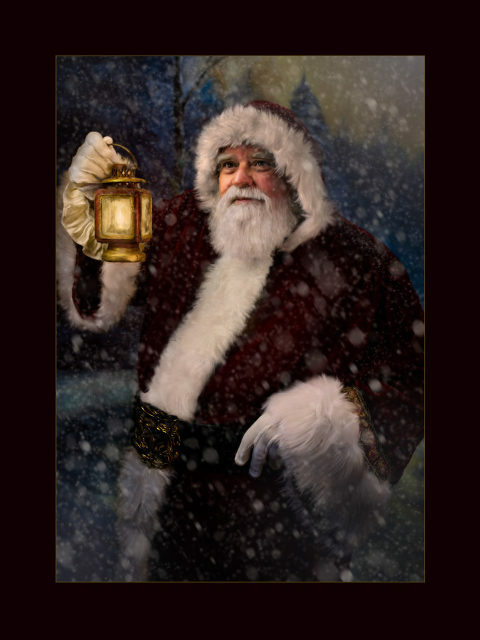 We’ve worked together for many years and he is, and always will be, our “Original Santa”. An interesting fact about Santa Jeff, he lives in GARLAND, and sells Christmas Trees for a living. Santa Chuck Lee is an Ellis County icon. He will primarily work our Midlothian location, but will make appearances in Richardson. He’s been serving the community as Santa Claus for over 10 years. He has the true “twinkle” in his eyes, the droll little mouth, and he always smells like peppermint sticks! He has a genuine love of children. He takes an interest in each child as if they were his own, and goes out of his way to be sure he has a positive impact on them. An interesting fact about Santa Chuck, he makes high-end banjos in a real enchanted workshop in Ovilla, and sells them all over the world. He also is a black belt in Shaolin Kung Fu!